Bob L. Blake has been a resident of California since 1974 and was appointed an Insurance Commissioner for Los Angeles County in 2006 by Supervisor Yvonne B. Burke, representing the Second District. He is a four-term Insurance Commissioner who was reappointed by Supervisor Mark Ridley Thomas the last two terms. ​Bob Blake & Associates, Inc., specializes in Benefit Communication and Supplemental Insurance products for Public Sector and Private Non Profit businesses. The vision of the firm is to be the best sole provider of employee benefits, providing customers with products and services which distinguish them in the marketplace. The firm prides themselves on being a diverse, customer focused organization. Mr. Blake's mission is to protect working American families from catastrophic events that can ruin their future. His firm also strives to provide personal attention, attending to individual needs and small details while sustaining a professional and caring team representing the industry’s highest rated companies. Bob’s experience in the insurance field has given him great insight in consumer needs, including that of insurance coverage for residents in Los Angeles County. 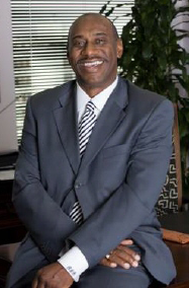 Some of his organizational affiliations are: National Forum for Black Public Administrators Southern California Chapter; 100 Black Men; Los Angeles Health Underwriters; Greater Los Angeles African American Chamber of Commerce; Long Beach African American Chamber of Commerce; National Conference of Minority Transit Officials; and currently is the 1st Vice President of the Southern California Chapter of the National Forum of Black Public Administrators. Article: Blake, B. (2001). Selling to Minority Women. Life Insurance Selling, (March), 42-48.